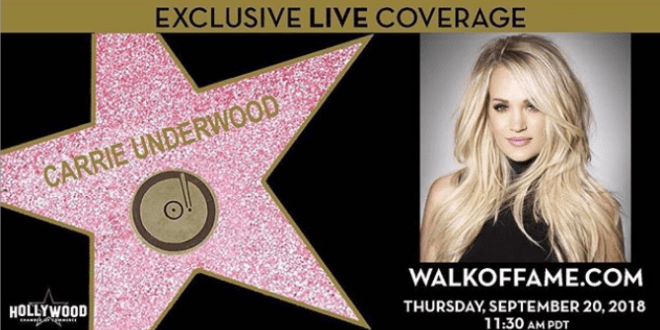 Carrie Underwood has a busy month ahead of her! A new album and a new milestone are in store. Carrie is set to release her new album, Cry Pretty, this Friday. The album includes a new song called “The Bullet” that was partially inspired by the mass shooting Route 91 Harvest Festival in Las Vegas last year. Carrie is also set to become the 2,646th celebrity to receive a star on the Hollywood Walk of Fame in LA September 20th! Brad Paisley and Simon Cowell will both join Carrie at the ceremony. Simon was a judge on season 3 of American Idol when Carrie won. Carrie was also named an honoree for CMT’s annual Artists of the Year special. This is the first time ever the special will feature an all-female lineup. Luke also started his own record label, called 32 Bridge Entertainment, and already signed his first artist, Jon Langston. Thanks to everyone who came out last night to celebrate the grand opening of @lukes32bridge! We had an absolute blast. Y’all check it out next time you’re in Nashville.